As a disclaimer, this list is subject to change. We spoke to both a camera engineer at the event and a Google representative later, and both times we were told that it's possible more features could come to older Pixels, depending on the circumstances. In many cases, though, these are tied to understandable changes in hardware that preclude any backporting to the Pixel 2s or 2016 Pixels. Sometimes, software is just software, and old dogs phones can learn new tricks. While not all of the Pixel 3's features will make it to older phones, we have verified with Google that the ones below will be coming to older Pixels. Like Apple and Samsung before them, you can change both the degree of blur and the focus of that blur on photos taken in the fake-bokeh Portrait mode with the Pixel 3. With the right combo of recent APKs, the same functionality works on the Pixel 2, and we're explicitly told by Google that the feature will be coming to other Pixels in an official capacity. At Google's event, it was revealed that a new low-light augmented Night Shot mode would be coming to Pixel 3 phones in November, and the examples provided by Google were stunning. Other Pixel phones were also explicitly scheduled to get the new mode, but there's no date provided (yet). We've also separately confirmed with Google that the feature will be coming to older phones. Smart Compose came to Gmail earlier this year as an experimental feature, and the press-tab-to-complete suggestions while typing should bring a smile to anyone that's used to mucking about in Bash or CMD. Smart Compose saves time by offering suggestions while you're typing emails, reducing how much time you spend composing messages. But, up until now, it's been a desktop-only feature. 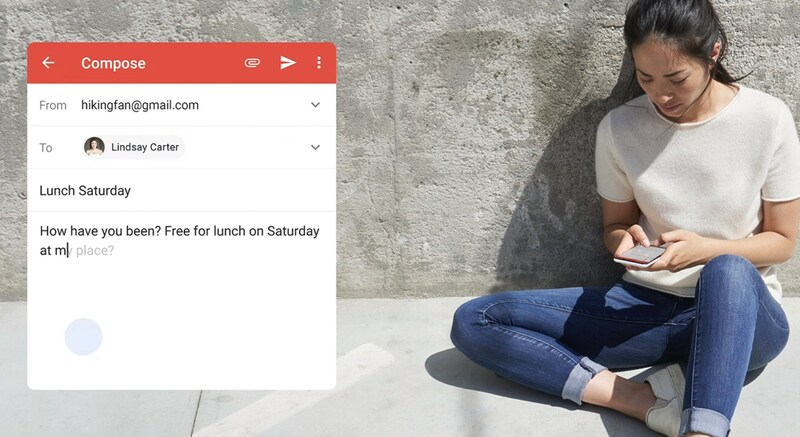 In the Made by Google 2018 keynote, it was said that Gmail's Smart Compose was "Coming first to Pixel," without any apparent distinction between the old and new devices. We've been explicitly told that it will hit all of them. Playground is the new name for Google's AR Stickers app, which lets you add a bunch of augmented reality models into your viewfinder. Although it's coming first to Pixel 3, Google claims it will be rolling out to the 2016 Pixel and Pixel 2 "soon." 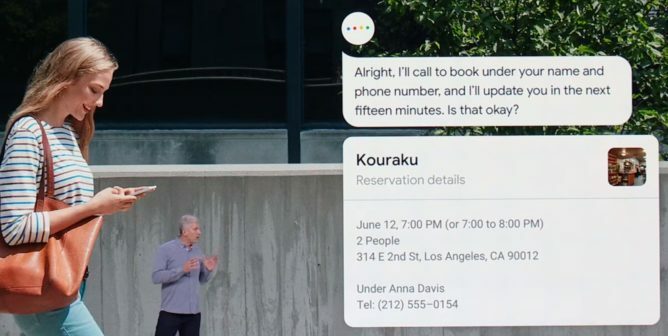 Duplex is an introvert's dream, allowing you to make calls via the Google Assistant in a fully automated fashion. Scheduling an appointment or verifying store hours can be handled entirely by the Assistant at your request. Pixel phones will get the new feature first next month on a city-by-city basis during rollout, but based on the particular phrasing of the announcement, it sounds like it won't only just hit all the Pixels, but it should eventually make its way to other devices, too. In a similar vein to Duplex, Google showed off some new call screening functionality at the Pixel 3 event, hopefully giving us better tools to individually fight the ongoing telemarketer scourge — since US regulators can't (or won't). It allows you to have the Assistant answer on your behalf, ask who is calling, show you a transcription of the response, and offer ways to respond to the call. 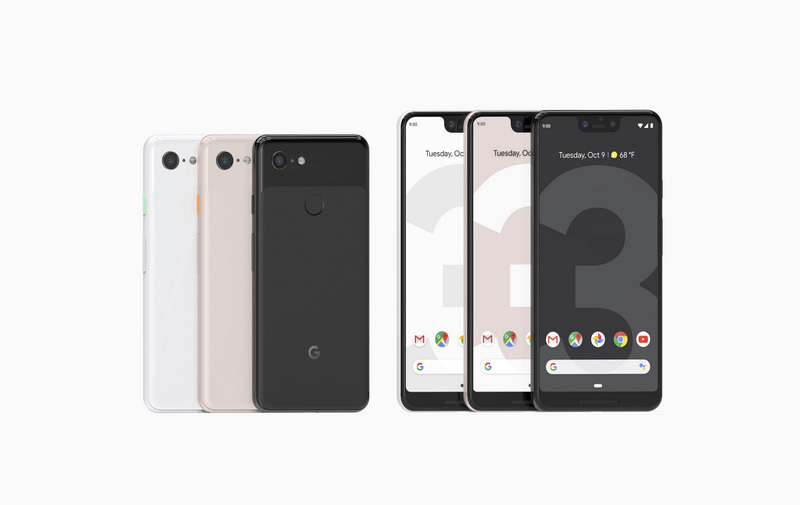 Call Screen launched with the Pixel 3 — at least, in the US — but "the entire Pixel family" will be getting it in November. 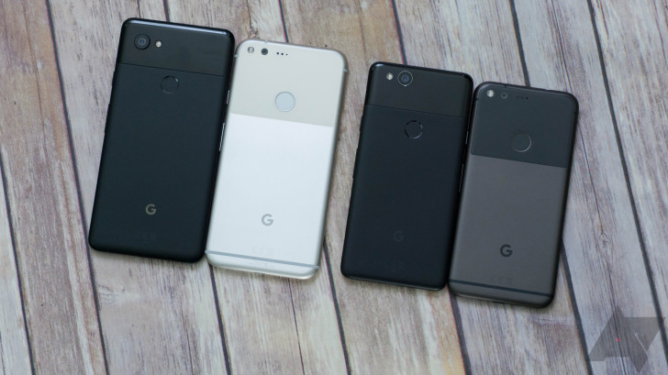 Google's latest pair of flagships pack quite a lot of new hardware, and that means that not every one of the software features we saw mentioned at Made by Google 2018 will make their way to older phones. Although we're told by Google that it will try to bring as many features as possible to existing phones, that's only possible "where there is no hardware dependency." Like it or not, that means some of them require improved hardware to work, and the older Pixels don't have it. This should be obvious, but I felt the need to point it out in any case: Since the older Pixels lack wireless charging, they won't be getting the Pixel Stand's Assistant experience. 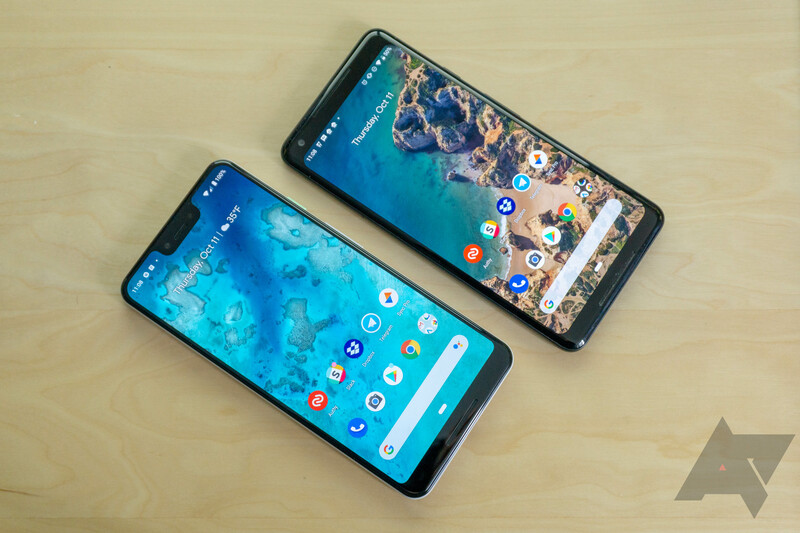 The Pixel 3, when set into its wireless charging stand, can mimic some of the features that the Google Home Hub and Assistant-powered speakers have. But, since none of the other Pixels have wireless charging, we're told that functionality won't be coming to older Pixels. For what I hope are pretty obvious hardware reasons, older Pixels won't be able to enjoy the wide-angle selfies available on the Pixel 3 and 3 XL. The wide-angle selfies are courtesy of — you guessed it — that secondary wide-angle camera assembly on the front of both the Pixel 3 and Pixel 3 XL. The Pixel 2, 2XL, and 2016 Pixels literally lack the physical hardware to do it. Top Shot looks pretty cool, allowing you to select the best photo from a series taken at the time of capture — just in case your timing was off. There are three catches that we know of so far: you need "Motion Photos" to be enabled (since this is an extension of that same system), quality is reduced for the alternative photos compared to the originals, and the feature is exclusive to the new Pixel 3 and 3 XL. That could be because the feature relies on the Pixel Visual Core in the Pixel 3 to work, or it may require something specific in the physical camera sensor. Whatever the reason, we're told that older Pixel phones won't be getting Top Shot, according to current plans. The Pixel 3 harnesses the power of machine learning for the ultimate goal: funny face recognition. In Photobooth mode, Google's latest flagship is able to detect when to snap a selfie based on your facial expression. 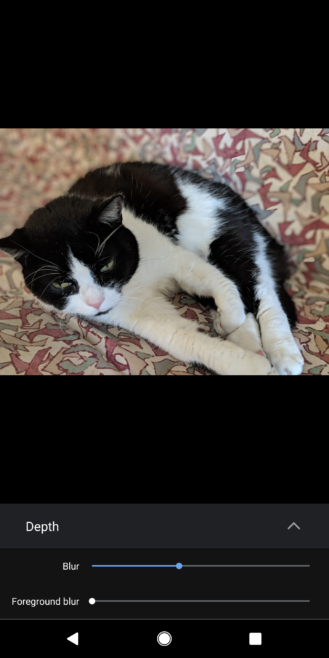 But like many of the other AI-powered photo features, this one is Pixel 3 only — at least, for the time being. We should all be used to tapping around a viewfinder to select focus and exposure, but Motion Auto Focus takes that functionality and makes it even more useful, by using that selection as a cue to lock onto that object even as you move around. Energetic pets or kids that can't hold still won't fall out of focus, and if you want to track a moving object, the Pixel 3 will do its best. Motion Auto Focus' sole disadvantage is its position on this list. We're told by Google that this feature is exclusive to the Pixel 3. Again, Google skipped out on the dual-camera trend favored by most other OEMs, but that doesn't mean you can't get some good zoom out of the Pixels 3. A new feature called Super Res Zoom combines multiple short exposures to create a sharper, zoomed-in photo. It sounds a bit like speckle or lucky imaging, which is used in astrophotography to resolve fine details through atmospheric interference. Think of it as a sort of HDR in that it combines multiple exposures for a final image, but instead of looking for enhanced dynamic range, it's trying to resolve fine details for improved sub-pixel interpolation. Given the steps involved, Super Res Zoom could be quite a computationally expensive procedure so older hardware may not be up to snuff to take advantage of it. Google tells us Super Res Zoom is a Pixel 3-only feature for now. 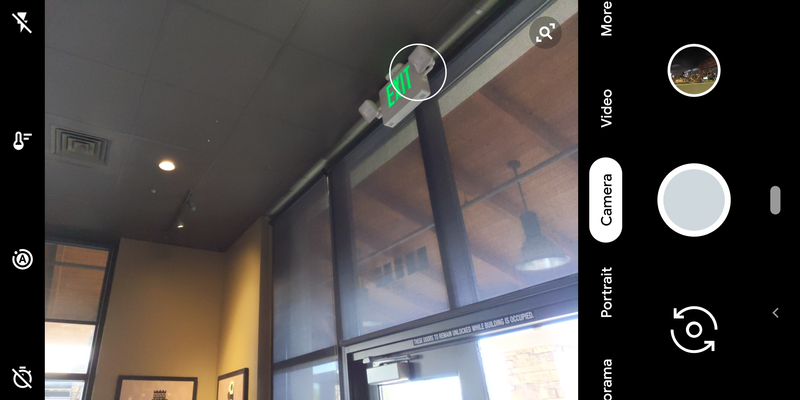 Google Lens is a familiar tool for most of us — providing information about what we see via our phone's camera. But the Pixel 3 includes a bit of extra Lens functionality built right into the camera's viewfinder called Lens Suggestions. It's a bit more limited in scope compared to the full version, recognizing things like phone numbers and QR codes, but it also works entirely on-device. And, we're told that it's a Pixel 3-exclusive. Back at I/O earlier this year, Google mentioned a "Shush" mode incoming for the Pixels, where you could flip the phone face down to enter Do Not Disturb. We assumed it would be part of Digital Wellbeing when it finally landed, but that wasn't the case. For whatever reason, Google has decided to make this Flip to Shhh feature a Pixel 3 exclusive, at least for now. That's what we know (for now) when it comes to which features will and won't make it to older Pixels. Many of those that aren't currently planned seem to be harnessing either exclusive physical attributes in the new Pixels or more critical hardware improvements. While it's possible more could make the cut, it's best to keep a damper on those expectations.